A small number of commuters in Singapore will soon be able to use their iPhone or Apple Watch to pay for train and bus rides, as the country's Land Transit Authority plans to launch a pilot program involving Apple Pay in 2018. Announced by the LTA earlier this month, the upcoming addition is an extension of the agency's account-based ticketing (ABT) trial program rolled out in cooperation with Mastercard, a longtime Apple Pay partner. Launched in March, the ABT pilot looks to streamline the public transportation ticketing process by building in support for contactless forms of payment, specifically EMV credit and debit cards. The more than 100,000 commuters who signed up to test the program drive an average of over 60,000 transactions per day, the LTA said. With the forthcoming addition, which also extends the ABT pilot past its originally planned six month duration, the LTA intends to evaluate the effectiveness of smartphone-based touchless payment systems. Along with Apple Pay, commuters will be able to make payments using Android Pay and Samsung Pay starting in the first quarter of 2018. "LTA is excited to enable commuters to enjoy the convenience brought by e-payments in public transport," said Ngien Hoon Ping, CEO of LTA. "Together with our partners, we aim for the ABT pilot extension, expansion and eventually permanent roll-out to be the basis of our shift towards commuter-centric e-payments." Those interested in signing up to participate in the program can do so via the TransitLink ABT ticketing portal. 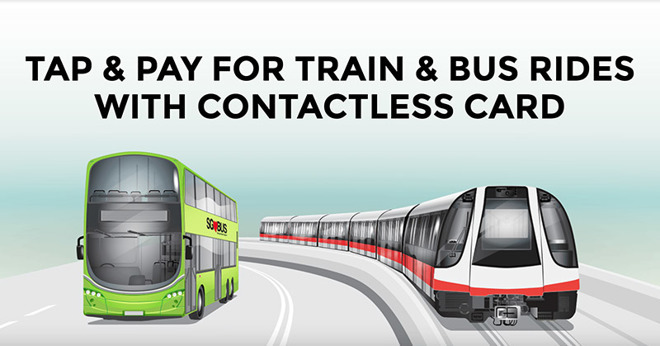 The Singapore transit solution is similar to Apple Pay's Japan debut. When the payment system launched in that country last year, one of the most widely publicized use cases was Suica, a rechargeable transit card marketed by JR East. Other major metropolitan cities are also looking into smartphone-based tap-to-pay solutions like Apple Pay, most notably New York's MTA, which plans to roll out an integrated system by mid-2018. Apple is continually building out its fledgling payments initiative, most recently integrating global FeliCa support into iPhone 8, iPhone X and Apple Watch Series 3 devices. Previously, only iPhone 7 and Apple Watch Series 2 devices sold in Japan were able to conduct FeliCa transactions.